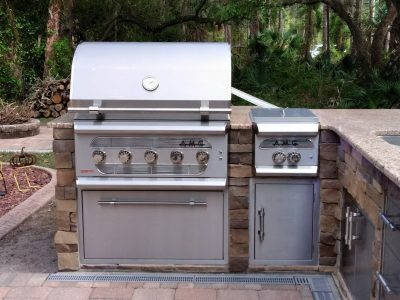 This AMG grill can burn charcoal, wood, pellets or run on gas. Complete with a power burner, fuel drawer, fridge and tons of storage. 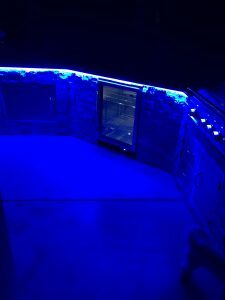 Under counter lights provide unique ambiance in the evening. 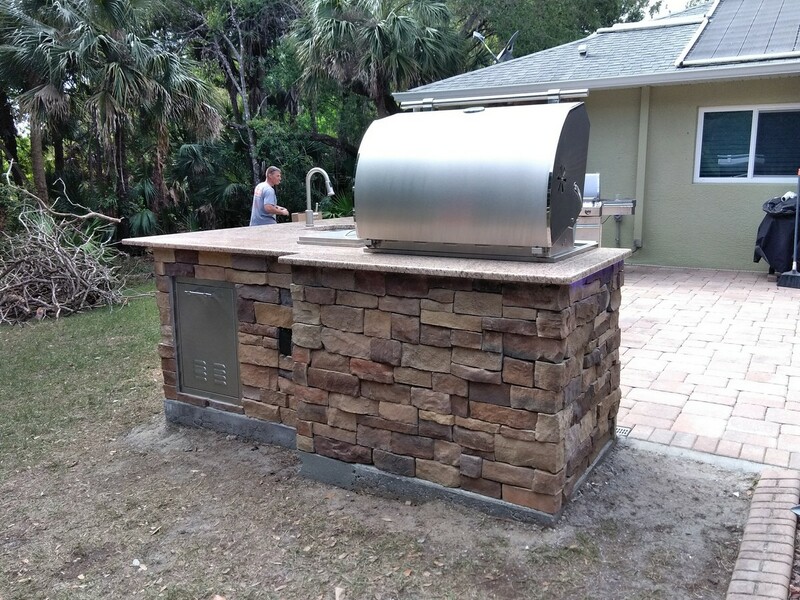 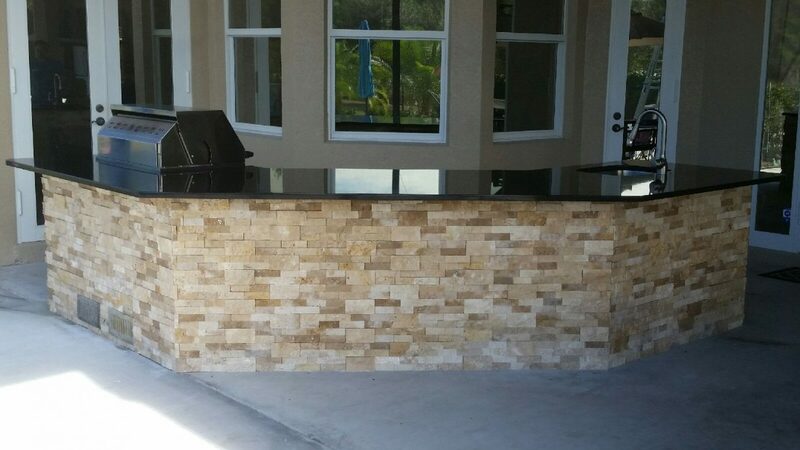 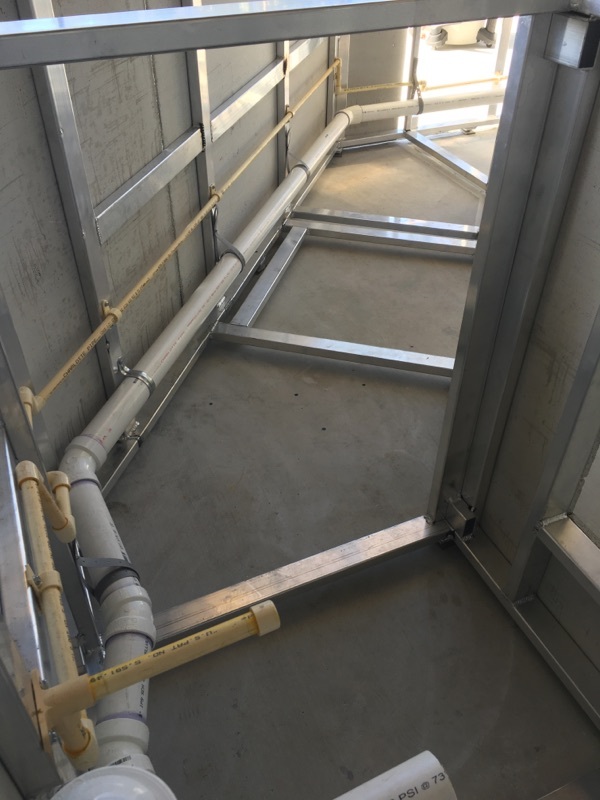 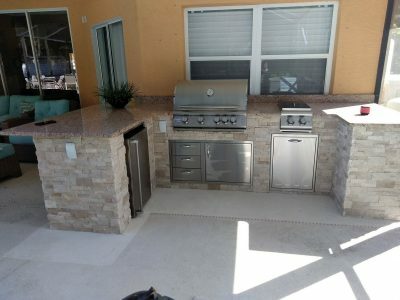 This North Port area customer laid out his own design and we built to his specifications. 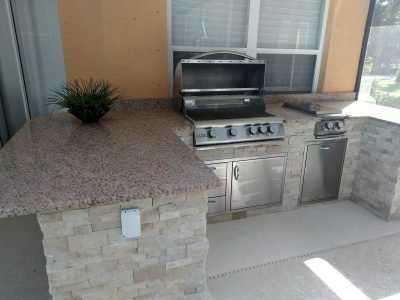 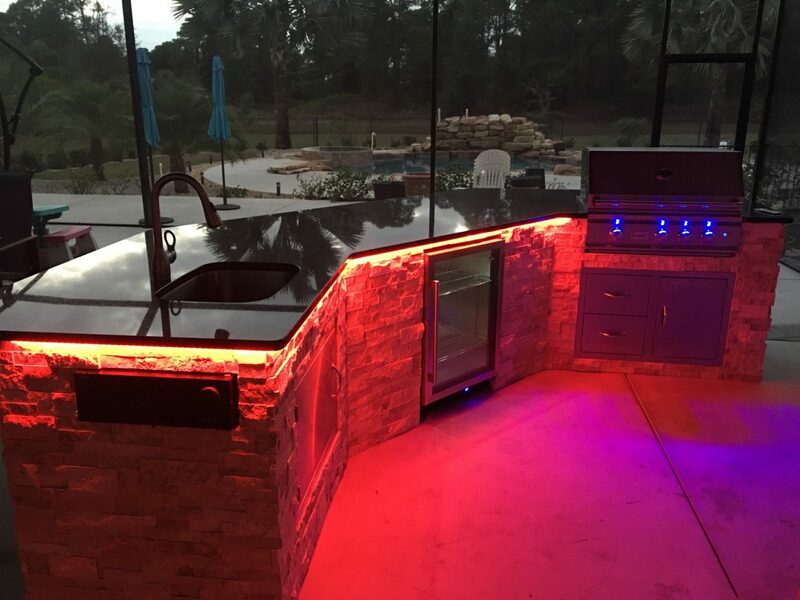 The finished outdoor entertaining area features Blaze appliances. 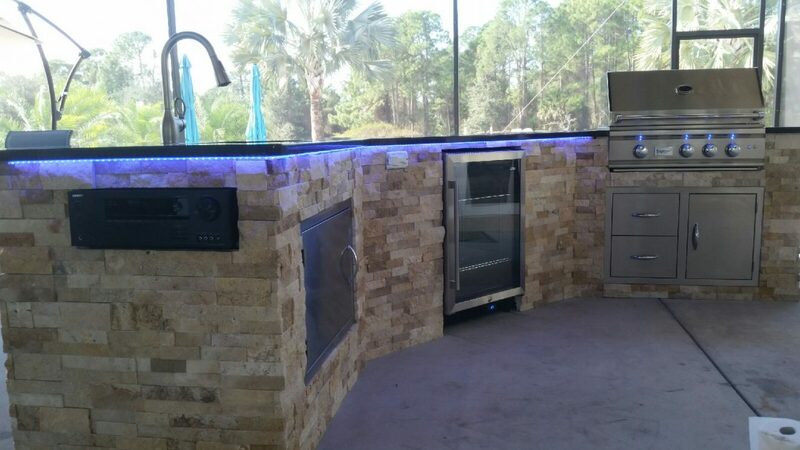 We created the layout of this kitchen to mimic the contours of the bay window directly behind it. 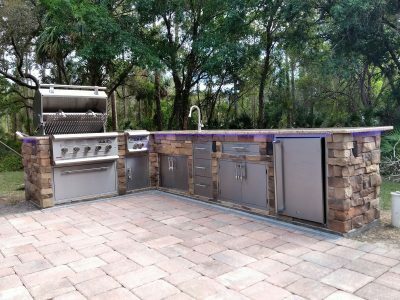 From this position, the homeowners can look out over the pool while they grill. 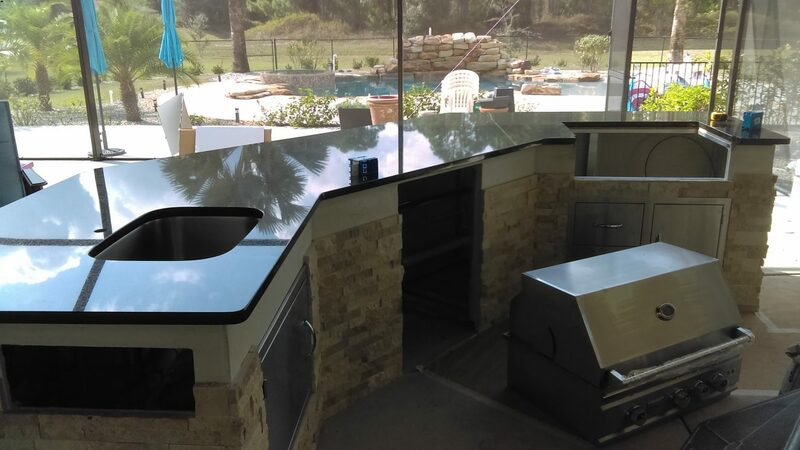 Plus, the length of the countertops provides plenty of room for seating on the opposite side. 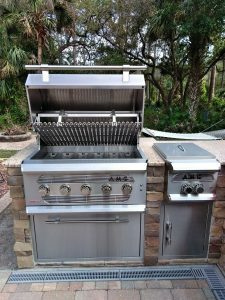 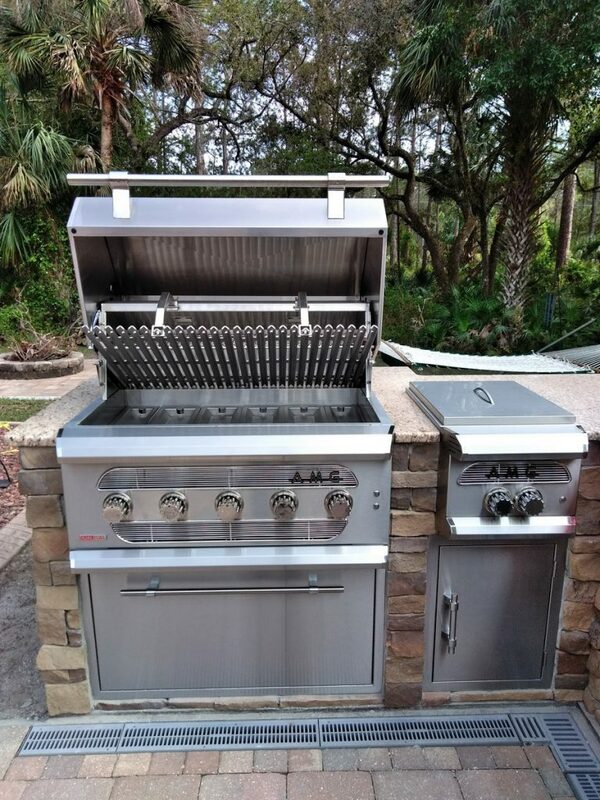 The grill is a 32” TRL model by Summerset with a combination of doors and drawers underneath for storage and access to the gas line. 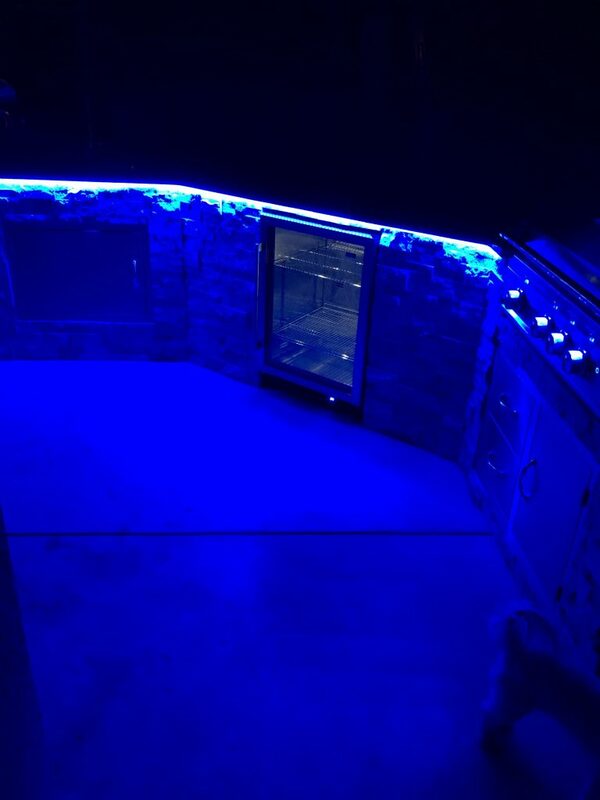 The fridge, by Summit, has a modern-looking glass front. 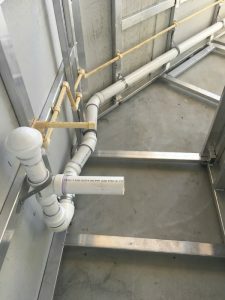 The sink was a challenge, making it necessary to cut five feet out of the deck and run water lines from the other side of the house. We even had to install a mini septic field just for the sink. 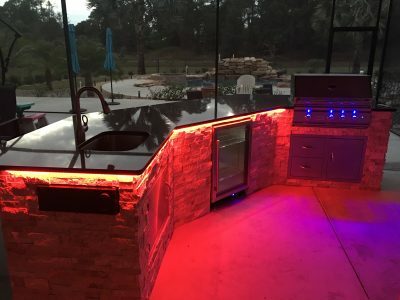 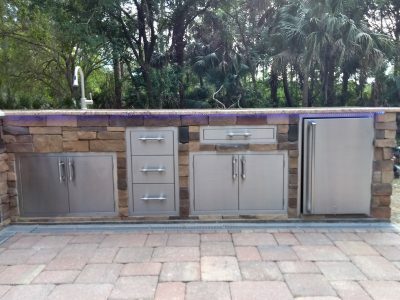 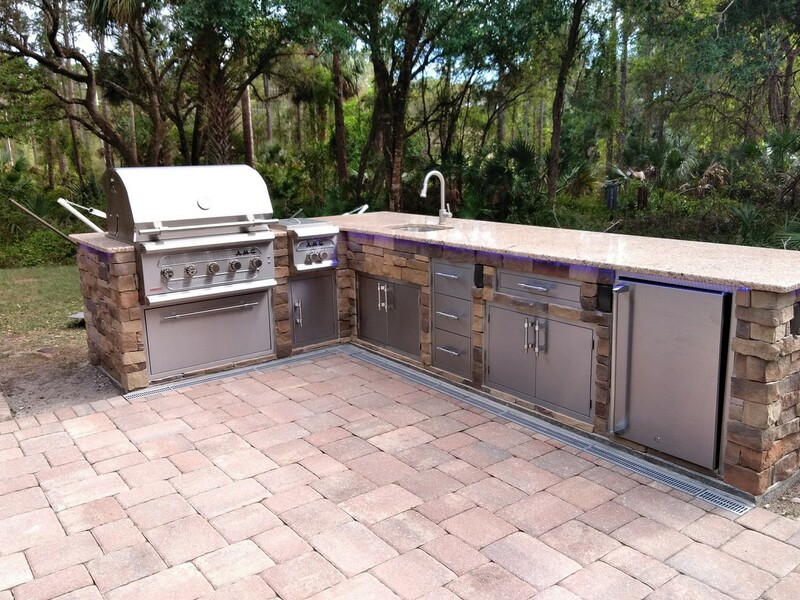 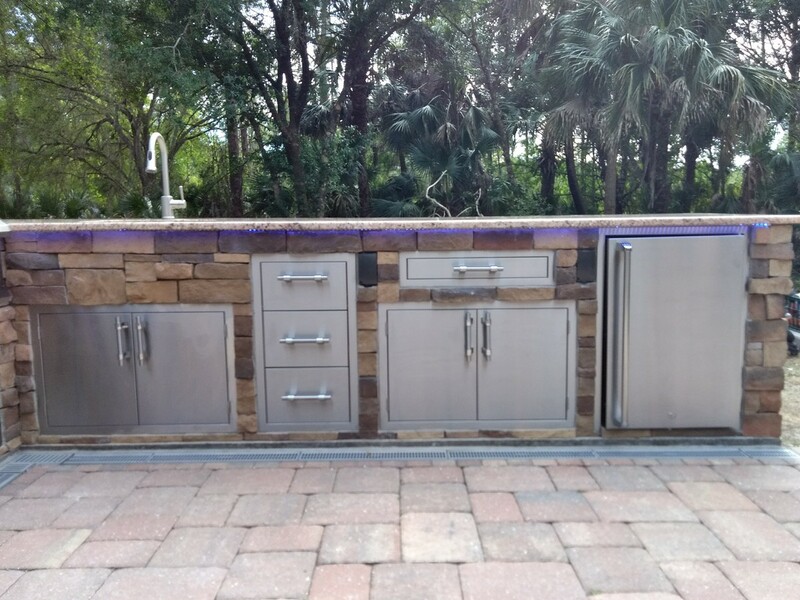 One of the most unique features of this North Port home’s outdoor kitchen is the LED underlighting, which changes colors via remote control. 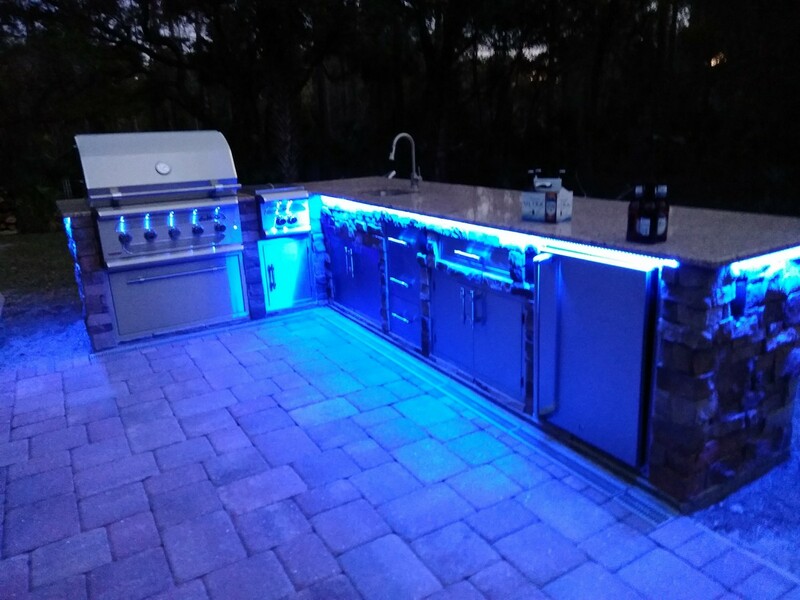 We also installed a custom built-in stereo receiver, proving that no grill party is complete without atmospheric lighting and some tunes.